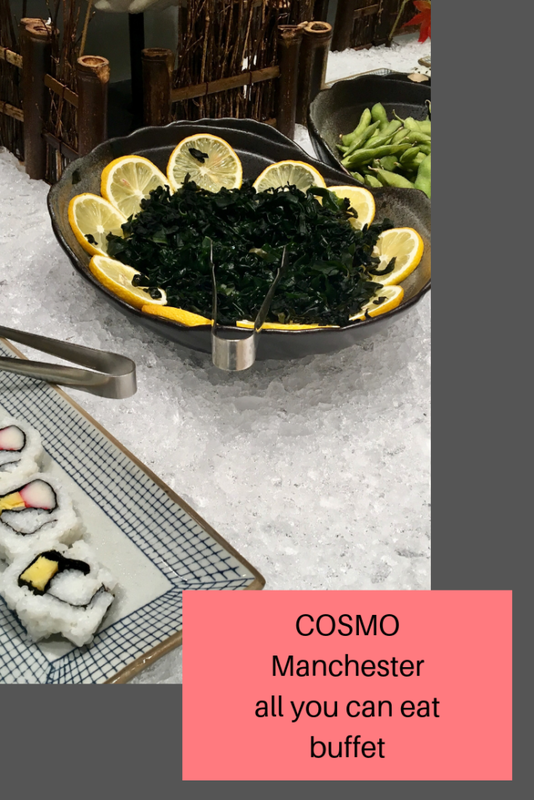 A couple of weeks ago, we were invited* to COSMO in Manchester for some dinner. Located in Deansgate it is easy to get to by car or public transport. COSMO Authentic World Kitchen is inspired by the best five star hotels in the world, which bring a choice of fresh food under the same roof and elevate the buffet concept to new levels. 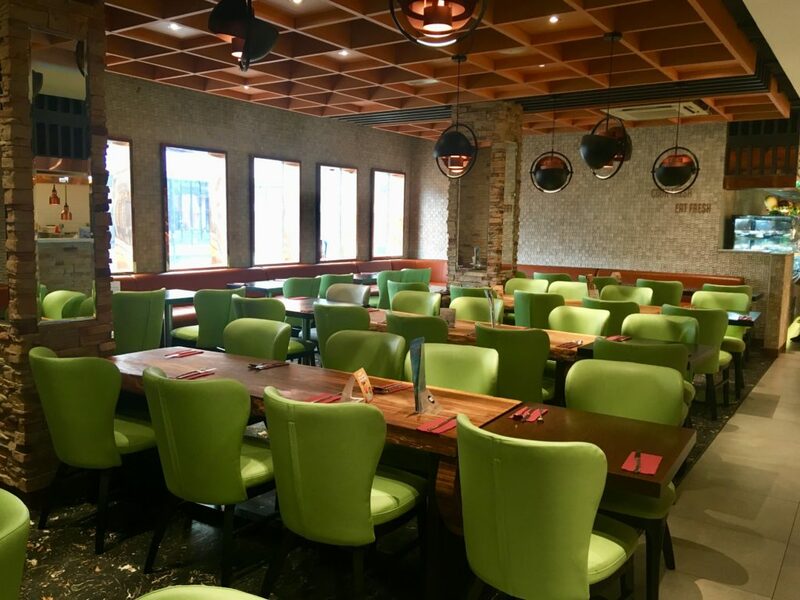 The restaurant is huge with modern stylish decor. 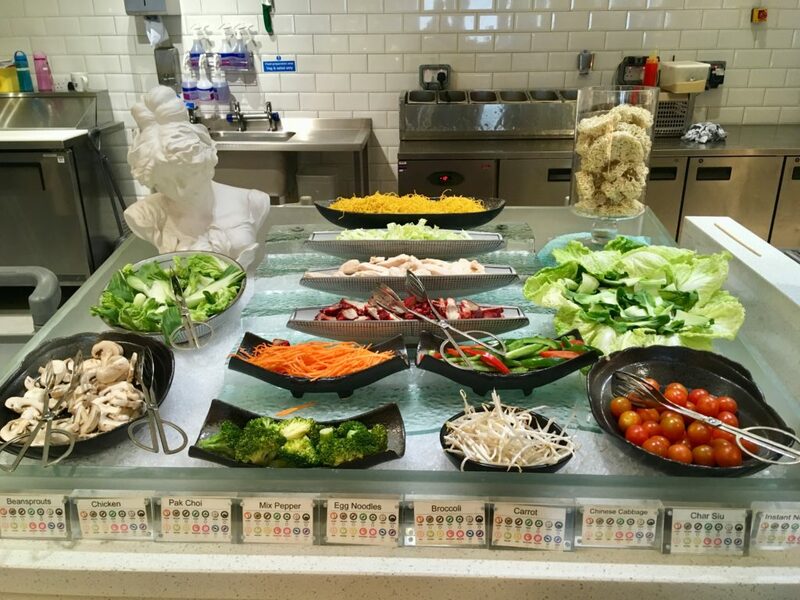 The buffet is laid out in various sections with an open kitchen behind where you can see chefs cooking. 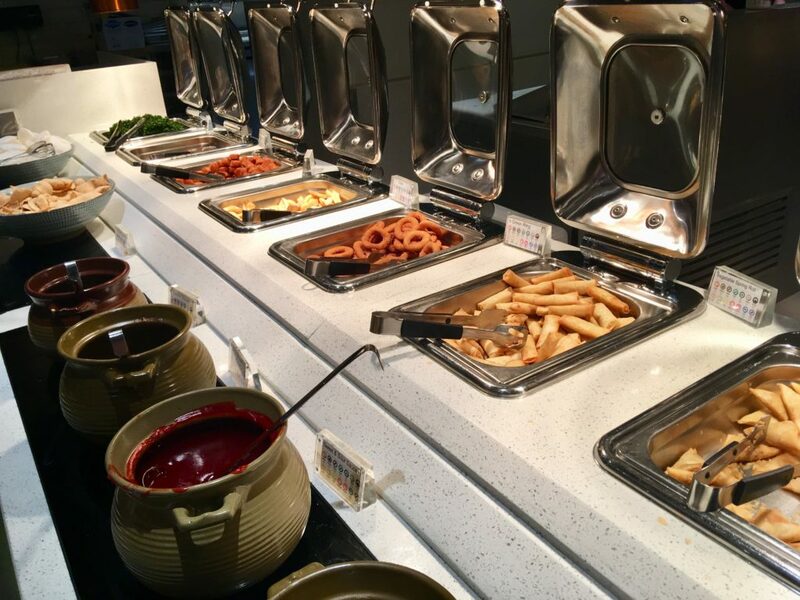 There is an incredible amount of food to choose from including Chinese, Japanese, Indian, Italian, Greek, Carvery and Western favourites. They are clearly marked whether they are suitable for vegetarians and there are plenty of staff dotted around to ask if you need clarification. There are also plaques in front of the dishes to let you know what allergens may be present. Cosmo prides itself on hiring trained chefs for each station so you are getting as close to an authentic meal as possible. We tried a bit of everything and it was absolutely delicious, obviously we left space to try the deserts too! There were a variety of deserts from cakes, pastries and jellies to ice creams, popcorn, fruit and an impressive chocolate fountain. 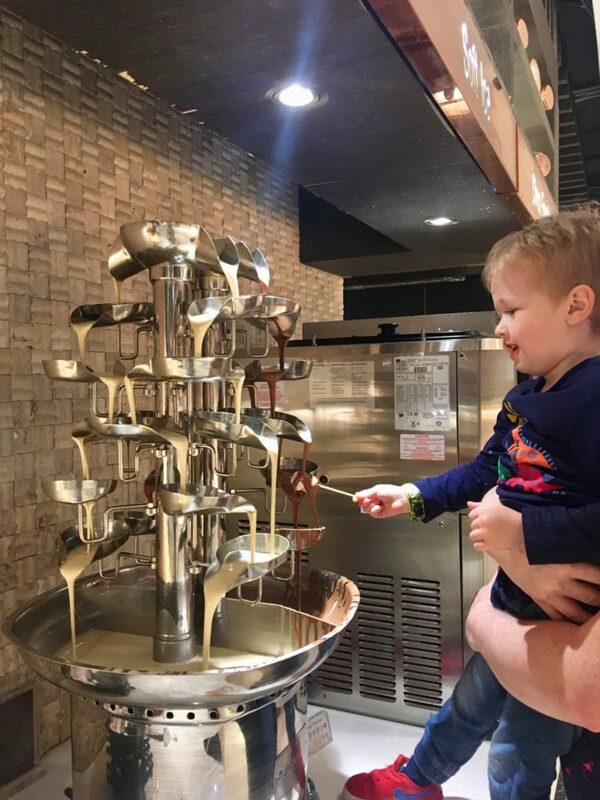 The chocolate fountain was definitely Lucas’ favourite and he kept going back up to dunk marshmallows in it. There is a full bar if you fancy a cocktail, glass of wine or beer. We stuck to soft drinks and a cup of tea. When you ask for a soft drink, you are given a glass which you can refill as often as you like. « What effect are pollution, work and lifestyle choices making to our skin? Wow that chocolate fountain! I love the interior design. I love a restaurant where you can enjoy a buffet and this looks great, the food all looks so delicious. I love places like this where there’s something for everyone. It’s not too far from us too! Oh wow, look at that chocolate fountain ! Amazing!